The Faber E-sert kit features 2 steel conversion posts with a 12 mm bottom section and a 4 mm top thread to convert a metric 'import' guitars with a Nashville style bridge to an ABR-1 style bridge. The threaded top section enables you to install a Faber Tone Lock Bridge. The large 12 mm bottom section is designed to completely replace the body anchor stud used by manufacturers of modern metric Nashville bridges (Gotoh, TonePros etc) that you find on Asian made 'import' guitars (Epiphone, Schecter, ESP/LTD etc). 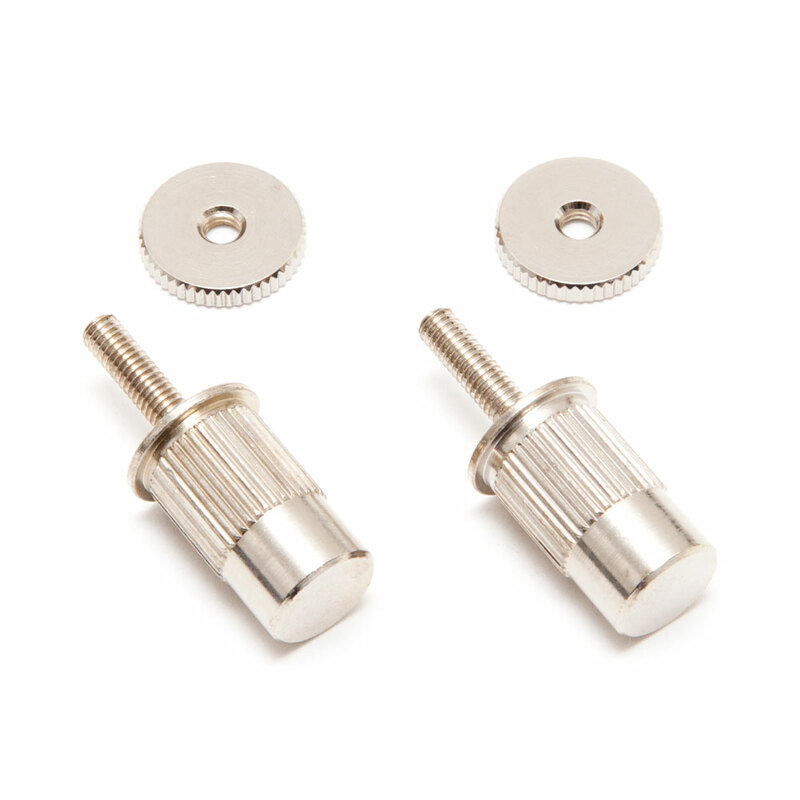 For installation the Kit includes an 8 mm bolt, this is used to thread through the Nashville body stud and when it pushes against the bottom of the hole it will push the stud up and out of the guitar, and also a metal sleeve, this slots on to the stud over the threaded top section and a hammer or press is used against the sleeve to push the stud in to the guitar body.